Looking for a facelift in Sydney? No matter how young you feel or how fit you are, wrinkles, sagging and puffiness in the face and neck are often show your age. However, the latest techniques in facial rejuvenation or recontouring can make you look 10 to 15 years younger. Medically termed a rhytidectomy, the procedure will reverse the signs of ageing to restore a revitalized, more youthful appearance. Total Facial Rejuvenation: $19,500 – $21,900 Includes facelift, neck lift, upper eyelid, lower eyelid surgery, brow lift, skin resurfacing/ rejuvenation. All costs including surgeon fee, assistant surgeon fee, anaesthetist fee, hospital, operating theatre and all follow-up visits. If you’d like to hold onto a more youthful appearance for as long as possible, Dr Barnouti can advise you on the correct procedure and the results you can expect. To find out if the procedure is right for you, book a consultation with Dr Barnouti in one of our three Sydney clinics. Or read on for more information about what the procedure involves and the costs. Deep lines or wrinkles around the eyelids and/or mouth. The procedure is specially customized for each patient and incorporates a comprehensive facial strategy designed specifically to address your individual trouble spots. Dr Barnouti creates superior outcomes by combining his detailed knowledge of facial anatomy, extensive experience in plastic surgery and the use of cutting-edge techniques and new technologies. While old-fashioned techniques just pulled back the skin, modern face and neck lifts focus on shifting facial volumes. That’s because restoring youthful volume is more important than the amount of skin which is surgically removed, the skin tension or the superficial musculo-aponeurotic system (SMAS). If appropriate for your skin type and concerns, these treatments act as a compliment to your surgical procedures. Facial rejuvenation is the most common procedure and is suitable for patients who want to look 10 to 15 years younger than they are now. Facial recontouring is a more drastic process which creates significant facial changes. As such it is not commonly requested by our clients. However, if this type of plastic surgery is of interest you can find out more during your consultation and explain your wishes to Dr Barnouti then so he can plan the right surgery. What are the different types of face lifts? There are four types of facelift. We’ll help you work out which is the right solution for you during your consultation. Mini Facelift – Sometimes called a Hollywood facelift, this involves a small incision in the hairline only. Recovery time is two to five days and the resulting scar will be hidden above the hairline. Short Scar Facelift – Also known as an S lift or MACS lift. The incision is made at the junction of the ear and the side of the cheek but finishes at the earlobe and does not extend behind the ear. Recovery time is five to eight days and there will be no scar behind the ear. 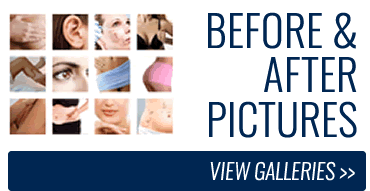 Full Facelift – Also known as an SMAS face and neck lift. The incision is at the junction of the ear and cheek and behind the ear creating what is known as an omega scar. This is a longer and more expensive procedure with a recovery time of eight to fourteen days. Total Facial Rejuvenation – This includes a facelift, neck lift, fat transfer, brow lift, skin resurfacing, lower blepharoplasty and upper blepharoplasty. You’re welcome to bring your partner, a family member or friend to your initial consultation if you’d like support. We also recommend you bring a photo of yourself in your twenties or thirties and preferably not smiling. This will help Dr Barnouti gauge the effects of ageing on your face and consider how to recreate a more youthful look. During the first consultation, Dr Barnouti will take your full medical history, examine you and discuss your goals and lifestyle in detail. His aim is to ensure that you are a suitable candidate for plastic surgery and establish realistic outcomes. He considers this meticulous analysis of the patient’s facial form to be one of the most interesting and complex aspects of plastic surgery. Once he has considered your needs, Dr Barnouti will thoroughly explain the options and answer all your questions. He will also take time to establish your expectations and explain the difference between facial rejuvenation and facial recontouring so you know exactly what to expect. Surgery can be performed under general or local anaesthetic and takes from 90 minutes to six hours depending on the extent of the procedure. With most facelifts, the surgeon first makes the incision and then separates the skin from the fat and muscle below. Fat may be trimmed or liposuctioned from around the neck and chin to improve the contour of the face. The surgeon then tightens the underlying muscle and membrane. Volume is usually added to certain areas such as the cheek bones for enhancement. Other complimentary procedures may also be undertaken, such as work on the tear troughs or eyelids, or cheek enhancement surgery. This will be discussed during your first consultation and carried out with your explicit agreement. When Dr Barnouti is satisfied with the results, the incisions are closed using dissolvable stitches so you don’t need to go through the inconvenience of removing them. What other procedures can I get done at the same time? If a general anaesthetic was used, you’ll need to stay in hospital overnight. If only a local aesthetic and sedation were used you can go home the same day, as long as you have someone to look after you. You’ll need to wear a bandage covering the treated area for 24 hours. You’ll be booked for an appointment with Dr Barnouti five to seven days after surgery to make sure you’re healing well and feeling comfortable. Since the stiches are usually dissolvable, they do not need to be taken out. Temporary bruising under the eyes is common and will go down slowly after the first week. For the first few days or weeks, your face will feel stiff and look artificially tightened. This will ease naturally in time and you can speed up the process by applying cold compresses. You’ll need to rest completely for the first 48 hours and avoid sudden head movements. Normal activity can be resumed about five days after a mini face lift, eight days after a short scar facelift and fourteen days after a full face and neck lift.